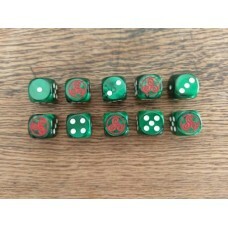 A Set of 10 - Ancients Celtic (Gaul) Spiral Dice (16mm). 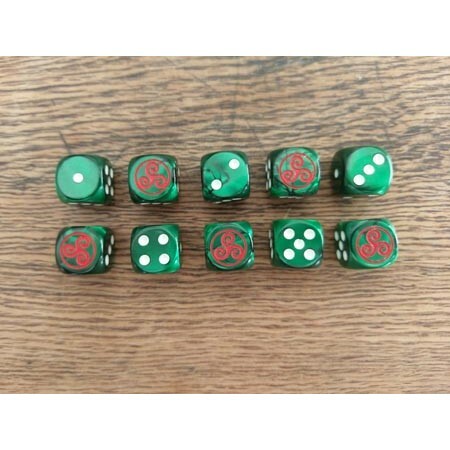 These custom designed dice have a red Triskelion Logo ENGRAVED where the 6 would be. 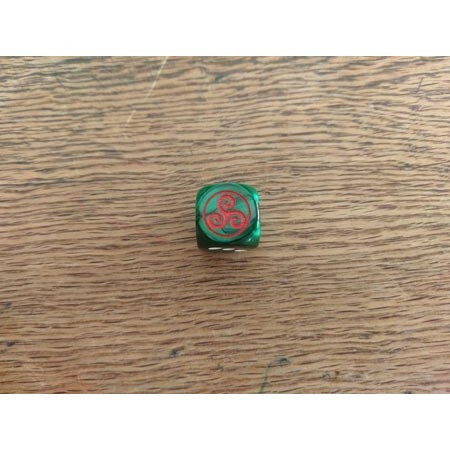 For use in any Ancients miniature wargame.